Microsoft Azure is a secure cloud platform for building, deploying and managing your applications and cloud services through a global network of data centers. Microsoft Azure is a powerful and flexible cloud platform that enables organizations to extend their infrastructure, build and deploy apps, manage data and storage, and unlock powerful business insights. Azure cloud computing software is deployed across a global network of data centers that meet stringent privacy, compliance, security and performance standards from Microsoft. With Azure, organizations can access a broad collection of enterprise-class, integrated cloud services without investing in significant overhead. Additionally, Azure gives companies the flexibility to use the cloud as you see it and need it. Creative ideas and large-scale needs are no match for Microsoft Azure. Is a cloud strategy right for your business? If so, when? Technology decisions today are more than technology decisions. 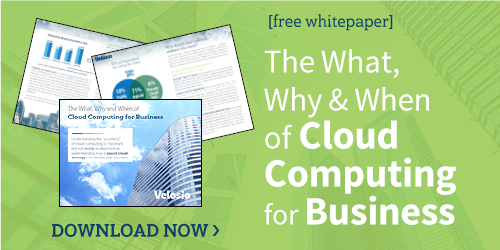 Learn about the economics of migrating to the cloud. Resource management, business agility, flexibility for growth, operational costs, financial accounting and company valuation are all considerations that will be explored. Need to create an app? Microsoft Azure is the perfect for the job. With accelerated app development, Microsoft Azure uses world-class tools to get your app up-and-running as soon as possible without compromising the quality you need. Use only what you need. Scale up or down your Azure package depending on your needs at the time. Cost on Microsoft Azure is usage based, measured by storage/bandwidth/uptime. There are no hidden fees or gimmicks with transparent pricing. Sometimes you can’t go completely cloud. That’s okay. You can still extend your IT and spend less overhead using Microsoft Azure without going fully to the cloud. You will have access to an enterprise-class hybrid database and storage solutions with built-in data security and encryption features. Microsoft Azure is one of the safest cloud storage solutions in the world. Why? It’s back by the global resources of Microsoft cloud services and its’ commitment to keeping your data safe. Azure meets rigorous compliance requirements and privacy standards. Azure does more than just create apps and store your data. With Machine Learning, Cortana Analytics and Stream Analytics, you can harness the power of of predictive analytics and business intelligence. Microsoft cloud services will help you make better, more informed business decisions. Microsoft Azure cloud computing software works seamlessly with all the familiar Microsoft Office tools in the office and on the go. Azure delivers key information to employees wherever they are, on any device, to boost productivity and enable collaboration. Cloud Summit: Business Continuity Readiness – Are You Ready if Disaster Strikes?